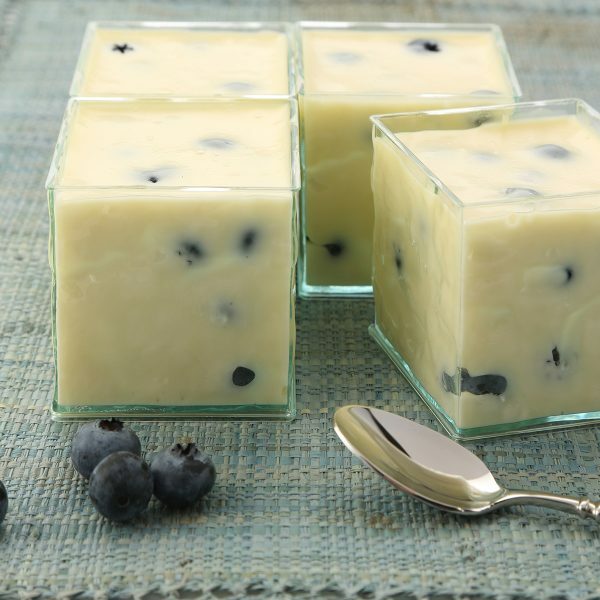 White chocolate and blueberry mousse - home cooked food delivered. Luxury, elegance and flavour collide in this sensational sweet. Rich and sweet yet not overly heavy, the luxurious white chocolate receives just a touch of tang from the plump, fresh blueberries. These are the perfect end to the perfect meal… a meal we can create so you don’t have to! White chocolate & single cream (MILK), gelatine, blueberries.